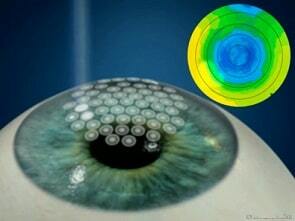 EyeMax is the new intraocular lens for patients with macular degeneration. 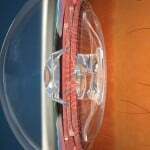 This unique intraocular lens is inserted inside the eye during routine cataract surgery or can be inserted years after cataract surgery. EyeMax is an intraocular lens designed to offer an innovative ‘widescreen-view’. 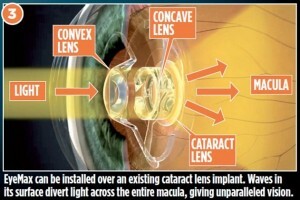 This intraocular lens enlarges images and projects them all around the central damaged part of the macula. People suffering from macular degeneration often have damaged the very central part of the macula with a relative healthy peripheral macula.. 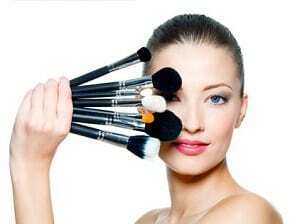 It must be very frustrating to be told “sorry, nothing to be done”. Unfortunately that is what usually happens to patients suffering from dry macular degeneration or cicatricial wet macular degeneration. Macular disease is a widespread debilitating condition; there are millions of people waiting for technological advances in this field. 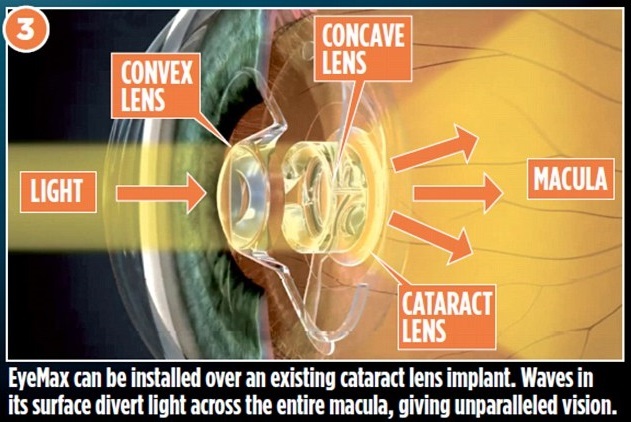 The EyeMax intraocular lens is a big step forward in the treatment of macular degeneration. Even if the macula, damaged from macular degeneration, cannot be repaired, this does not mean that remaining healthier macula cannot be used. Macular degeneration affects the central macula. The central part of the macula is the most sensitive part however, if the peripheral macula is adequately stimulated it can restore a good quality vision. In 2014, we introduced in Italy the IOL AMD, an innovative intraocular lens for macular degeneration(AMD) patients. IOL AMD arrives from England and magnifies images and projects them to the healthier part of the macula which has been detected prior to surgery. 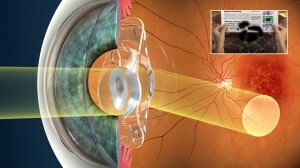 EyeMax intraocular lens magnifies images and projects them to the entire peripheral macula. Adaptation to EyeMax new vision is usually easier than other intraocular lenses designed for macular degeneration treatment. In conclusion, even if the macula is so damaged than cannot be repaired, vision can still be improved with the use new intraocular lenses such as: the IOL AMD and the EyeMax.